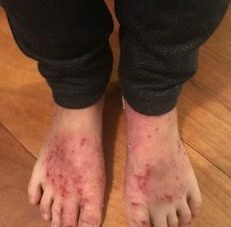 Anyone who’s battled eczema knows it’s just that—a battle. Intense itching, restless nights, and unpredictable breakouts can leave many searching for solutions (other than steroid cream!). 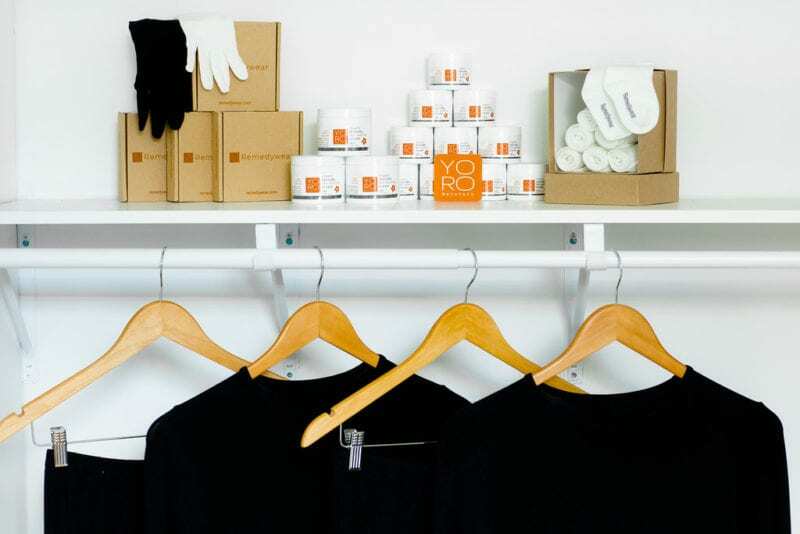 So, we’re excited to partner today with The Eczema Company (for the second time—see our first collaboration here) whose newer solution is getting rave reviews: specialty clothing made to provide relief for eczema. Learn about why eczema clothes are an important part of eczema therapy. Made with a combination of silky TENCEL (also an eco-friendly fabric) and anti-bacterial zinc. No matter the area or age, there’s a piece of clothing to help (even including protective mittens to prevent scratching) whether it’s for babies, kids, or adults. Can be worn during the day under clothing for protection or at night for itch relief and healing. Especially helpful when combined with the Organic Manuka Skin Soothing Cream. UV protection built within, alleviating the need to wear sunscreens that could potentially further irritate the skin. The clothing serves as an all-in-one and can be worn wet or dry. 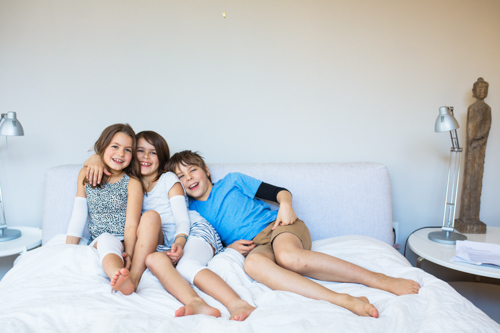 In a clinical study¹, Remedywear’s ratio of TENCEL and zinc was proven to reduce the severity of atopic dermatitis, reduce itchiness, and improve quality of sleep when worn overnight for three consecutive nights. Pretty cool, right? 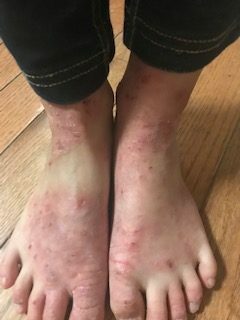 One of my daughter’s friends battles severe eczema, so I asked if she’d be willing to try out the clothing to see if it helped. She wore the socks for just three days, combined with the Organic Manuka Skin Soothing Cream (that we also love and talked about here). Look how well it worked in these before and after pics she sent me! I can’t tell you how happy it made me feel to hear she is getting some relief. I know that anyone with eczema, or anyone who has a family member or friend with it, can relate! The Eczema Company was created by a mom whose son battled severe eczema. Through years of trial and error, she found a combination of treatments and practices that helped alleviate 95% of his symptoms. So she decided to create The Eczema Company to share the natural eczema treatments that worked for her own son, and for many others, in hopes of helping children and adults battling similar issues. Her touching story can be found here. 100 Days of Real Food readers can get 20% OFF on all Remedywear items at The Eczema Company now through February 15th with our REMEDY100 coupon code! We hope this helps bring some relief to anyone you know who’s suffering. Just a note to your friend, the mother of the girl with “eczema”. That looks like topical steroid addiction and withdrawal syndrome, or red skin syndrome. It’s caused by long term topical steroid use. Sad to say, the medicine prescribed by doctors and dermatologists for eczema is causing an ever-worsening skin condition. No, I’m not a new-age anti-vax parent, I’m actually an engineer. My teenage son is recovering from this, and his feet and many other places on his body look like this. I’m also on a support network for TSW, and see pictures like this from people every day. Please ask your friend to look into the information at itsan.org and see if it matches her daughter’s condition. Pass on my contact info if she’d like to talk to me about this. Thank you so much for taking the time to respond. I just sent your note to my friend:). I went through the hell of red skin syndrome and finally recovered. I hope your son gets better soon! I appreciate your engineering knowledge but felt that you made an unnecessary jab at those who choose “anti_vac”. There was no need to preface with “I’m not a new-age anti-vax parent,” The additional comment was off-putting & not on the subject. Thank you…. Hi Kiran! Thank you so much for sharing this company. I just sent this to my sister who has already had to make so many changes in her life because of eczema. She already avoids certain fabrics, but to have clothing made for her is perfect. I haven’t heard of the manuka soothing cream either, that sounds very helpful. That’s great, Gina! Jennifer (at The Eczema Company) is a wealth of information, and I’ve heard only good things about the cream as well. Hoping your sister finds some help with the resources.